RIDGLOK® VERTICAL STANDING SEAM PANEL INSULATION SYSTEM custom manufactured at our Reed, Kentucky plant with a variety of insulation and metal options to serve engineer specifications. 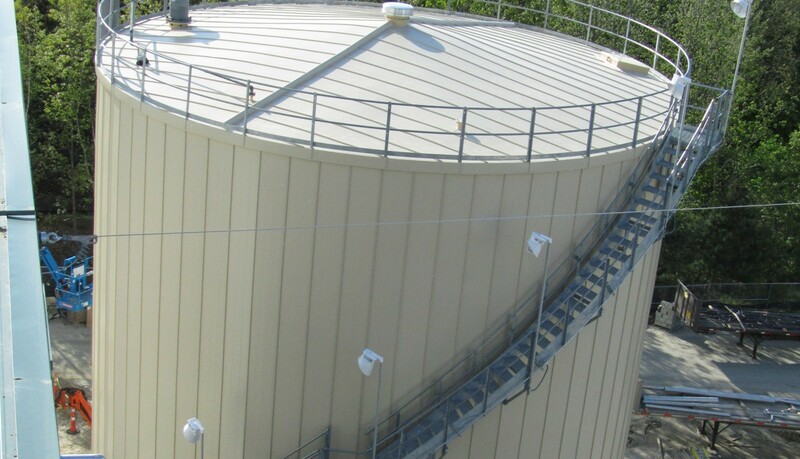 RIDGLOK® tank insulation systems are engineered to be energy efficient, durable, and cost effective for both hot and cold tank storage applications. There is MINIMAL DOWN TIME as RIDGLOK® Vertical Standing Seam Panel Insulation can be installed without taking the tank out of service. Geo Thermal Power Plants, Bio Solids Plants, Fog Energy Plants, University of Illinois Thermal Energy Tanks, Cryogenic Energy Plants. 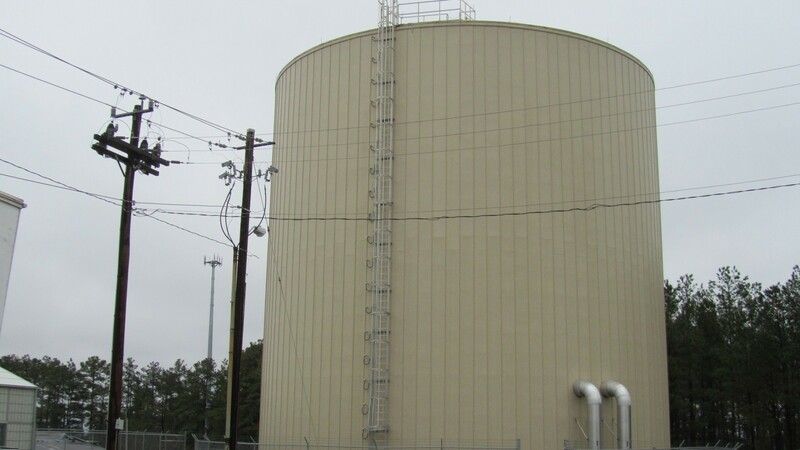 Chilled water is produced during periods of off-peak electrical demand when rates are lower, and the water is collected in a thermal energy storage (TES) tank. The chilled water is then withdrawn and distributed throughout the facility during peak demand hours. This process lowers energy costs by reducing the power consumption. 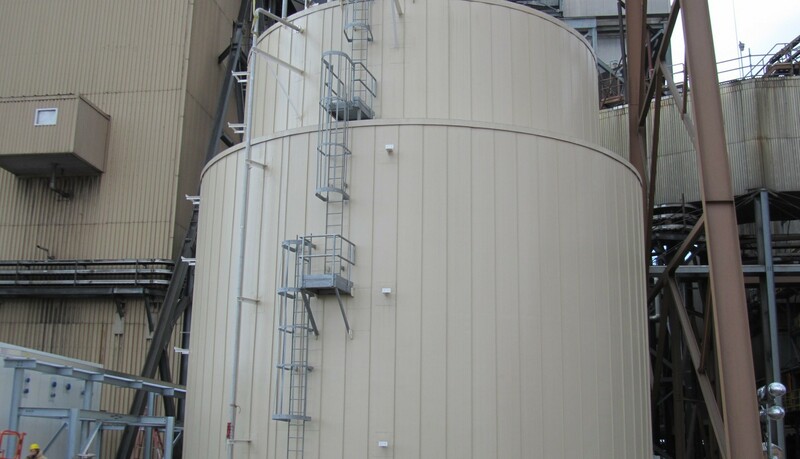 Insulating the TES tank further increases energy savings by retaining the chilled temperatures within the tank. Organic waste such as animal manure is collected and put in an air tight digester tank. Various types of bacteria are added, and the decomposition of the matter begins. Process temperatures affect the rate of digestion and need to be regulated in order to maintain the correct temperature. Insulation helps regulate the temperatures within the tank, along with heaters. 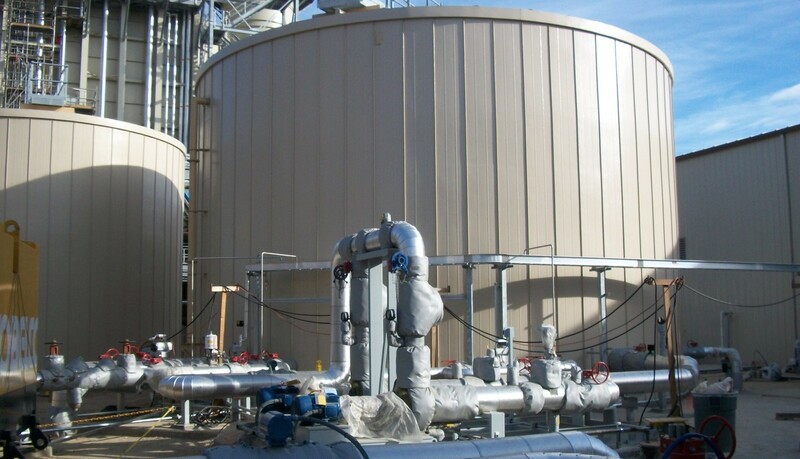 Anaerobic digestion is used as a source or renewable energy.